Train at home in complete safety with this sturdy piece of equipment. 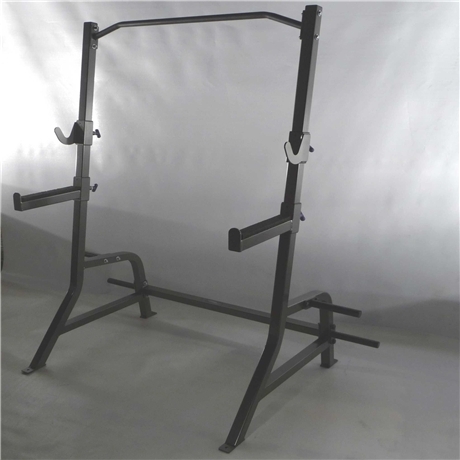 Don't be afraid to push yourself because this Squat Stand has your back with its adjustable safety catches. Keep your gym tidy with the handy plate storage horns conveniently located at the back of the unit. It will fit in any room even if your ceiling is "height challenged". Adjustable to fit each person's height for a variety of strength exercises.